Now changed back to WCKY on Jan 17, 2005 at 9AM! My thanks to CE Ted Kendrick for inviting me to the site on November 10, 1999 and giving me the grand tour. Ted was very busy that day, preparing for the installation of a new Harris DX-50 which arrived in a moving van at the end of my visit. The site is located in Covington, Kentucky. To the left is a photo of WSAI's main tower. It is a large, 6' wide tower with a height of 350'. It is a Blaw-Knox tower, which was originally supported only by the lower set of guy wires. 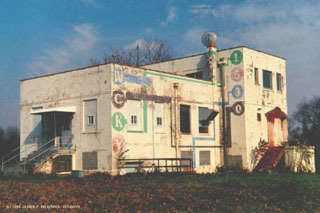 After a tornado hit on March 10, 1986, the tower was twisted. Special engineering consultants were hired, who decided to "untwist" the tower by adding the upper fiberglass guys placing a torque on the tower, which remain in place. There are 3 other smaller towers, not shown which create an overall rhombic configuration to direct the radiation pattern. 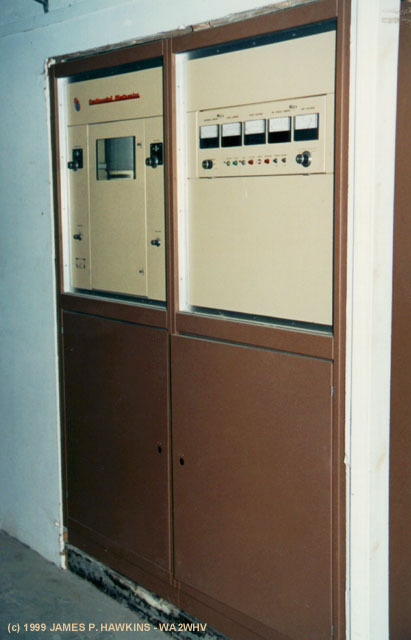 WSAI went from a three-tower to a four-tower array in the late 1970s. The old pattern had favored skywave coverage of the South. The station modified the array to throw more power over the more heavily populated parts of the Cincinnati metro area, which are to the north and east of the towers. There are only about 350,000 people in the part of northern Kentucky adjacent to towers, while there are about 1.5 million people in the metro on the Ohio side. The pattern modification required adding a fourth tower, and the relocation of two of the three then-existing towers. They opted to build three new ones instead of moving two and adding one. 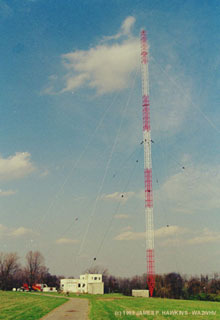 The 350' tower which WSAI currently uses in non-directional mode is the only one of the three original towers remaining. The tall tower is just over a half wavelength; the three smaller ones (300' each) are just under a half wavelength. The array shoots about 89-kw to the east, 87-kw to the south, 1.1-kw to the west and 148-kw to the north over Cincinnati. Another interesting fact about WSAI is that it operates in non-directional mode until Sacramento sunset (it protects channel-mate KFBK), which is three hours after sunset in the Eastern time zone. This results in a nice early-evening skywave in many parts of the Midwest which lose the signal after WSAI hits pattern. Sorry about the inferior quality. I need a better converter. Thanks to Peter Peterson for supplying this clip. this site used to be that of WCKY. When you walk in the door, this is what you see. 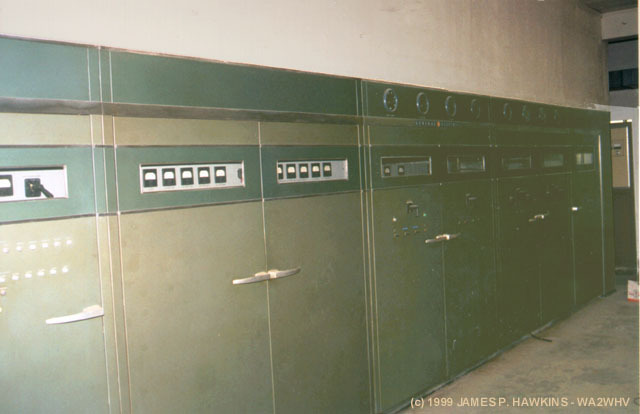 The GE BT-25-A is on the left and the Harris MW-50 main transmitter is on the right wall. 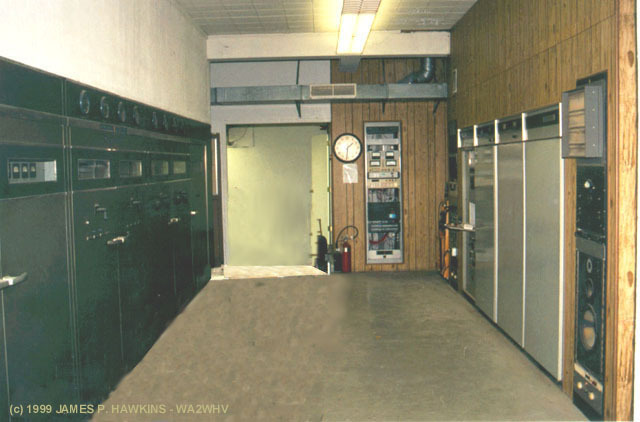 The back room (far wall, door on left) is where the new Harris DX-50 is now the main transmitter. 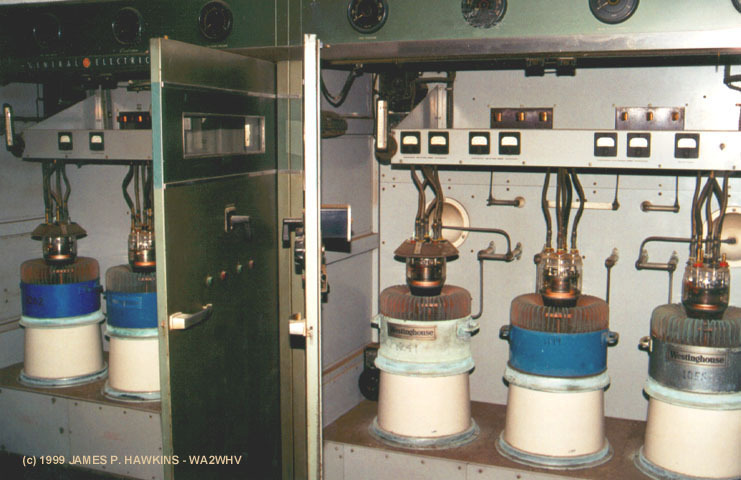 This model transmitter was used at the site, which was then, WCKY between 1938 and sometime in the early 50s. This picture is from a 50-D manual. 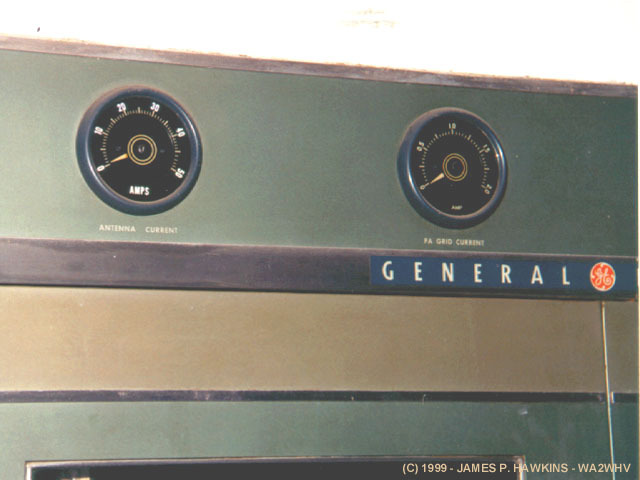 It used low level modulation into a variation of the Doherty linear, which became very popular in Continental Electronics transmitters. 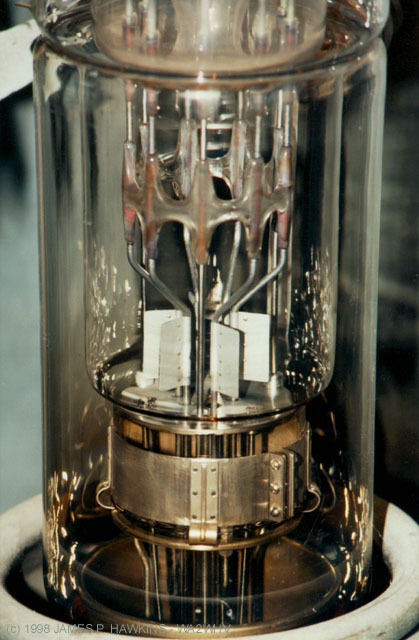 It used a pair of UV-898s (3 phase filaments) which were later replaced by UV-862 (single phase filaments) water cooled tubes, one for the "carrier" tube and the other for the "peak" tube. 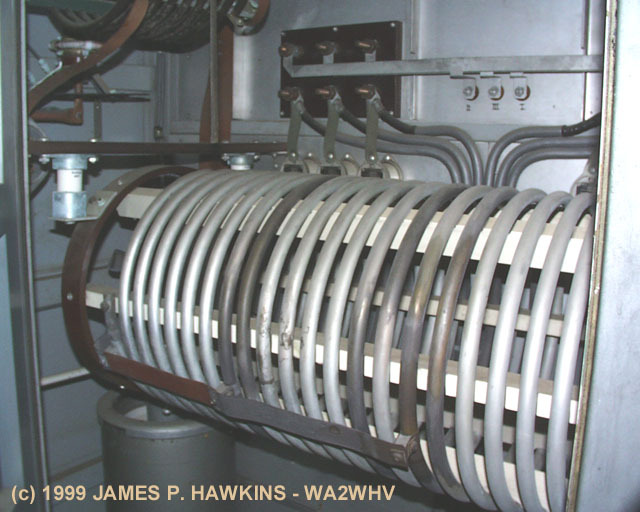 These tubes were also used in the WLW 500KW transmitter. 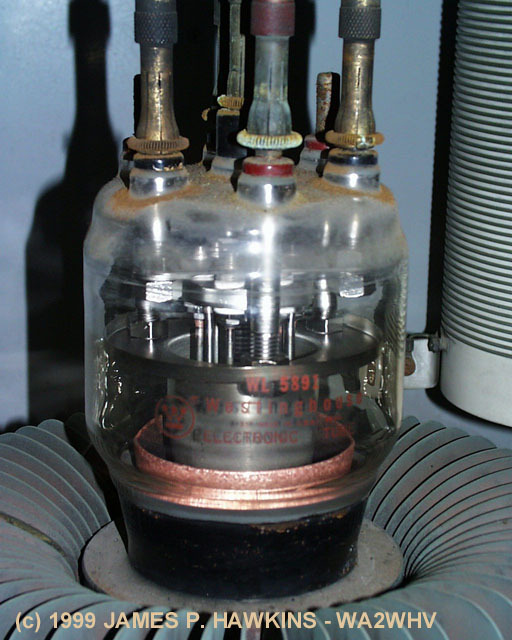 At WCKY, the final amplifier was, later modified using 5681 tubes for the carrier and peak tubes. The BTA-25-A is a very long transmitter, making it very difficult to photograph in the narrow space available, hence the two views. The right view actually shows all modules or cabinets. 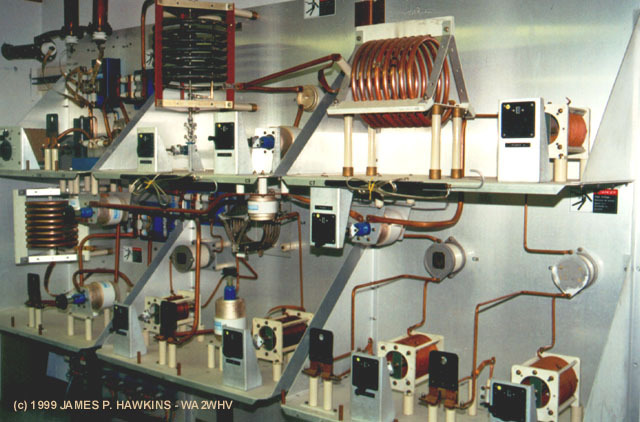 From left to right are the control unit, tank circuit and output network unit (two cabinets wide), RF final amplifier (two cabinets wide), high level plate modulator (two cabinets wide) and full wave three-phase HV power supply. 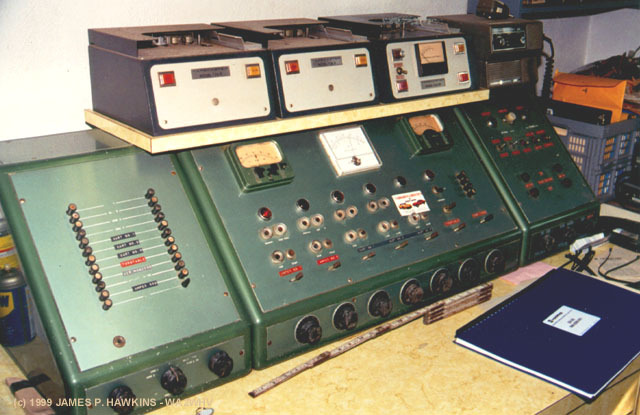 This transmitter is no longer in use with all components containing PCBs having been removed. 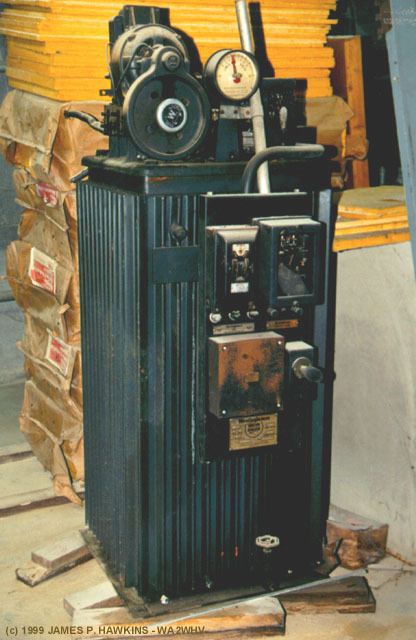 The transmitter plate voltage was approximately 10KV at a DC current of about 6 amperes. 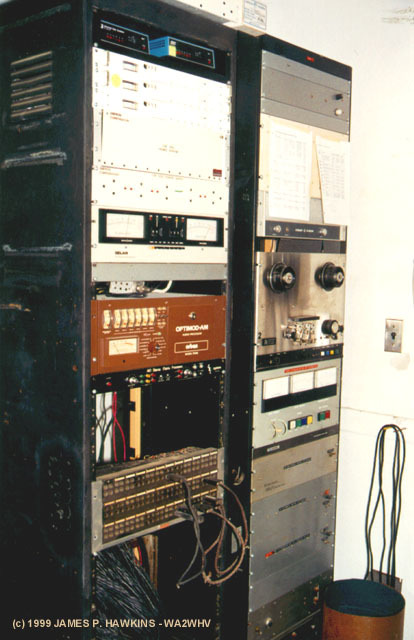 The PA and Modulator, each use a pair of WL 5891 air cooled tubes. 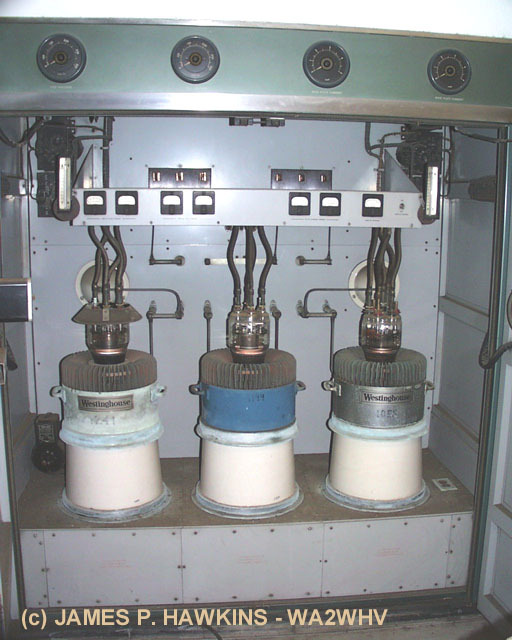 The third (center) tube in each cabinet is a "hot" spare which can be quickly jumpered in should either of the others fail. 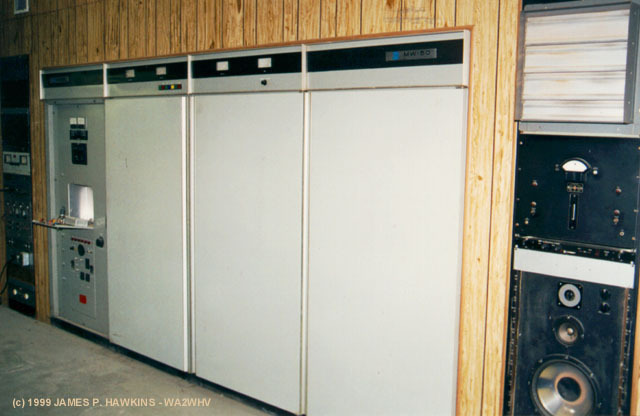 In the modulator cabinet it is easy to see the movable jumper bars against the back wall of the cabinet. 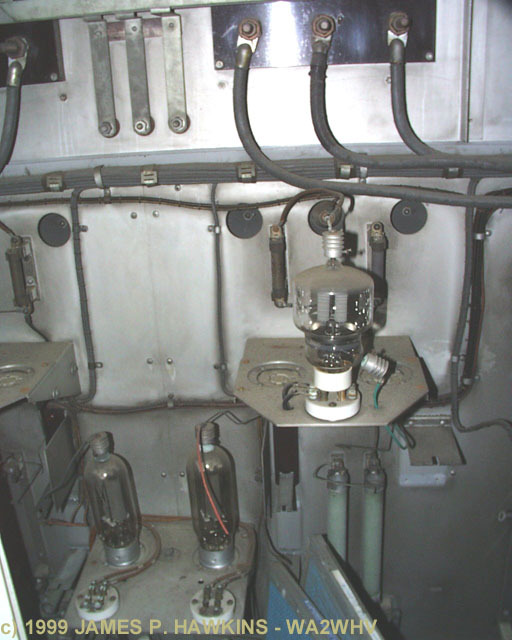 This permits fast tube change during critical broadcast periods. 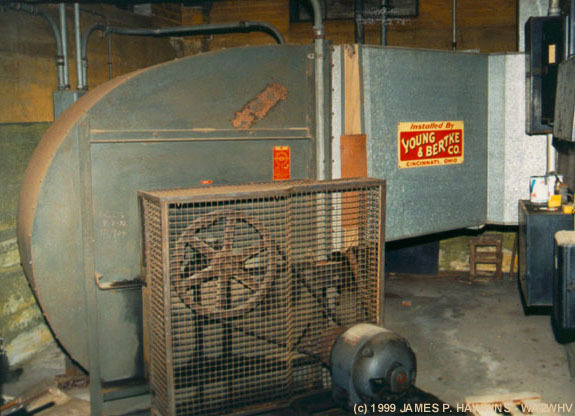 The defective tube, weighing over 100 lb., is then hoisted out of the cooling chimney and replaced using a special hydraulic lift designed to fit the tube during a less critical part of the broadcast day. 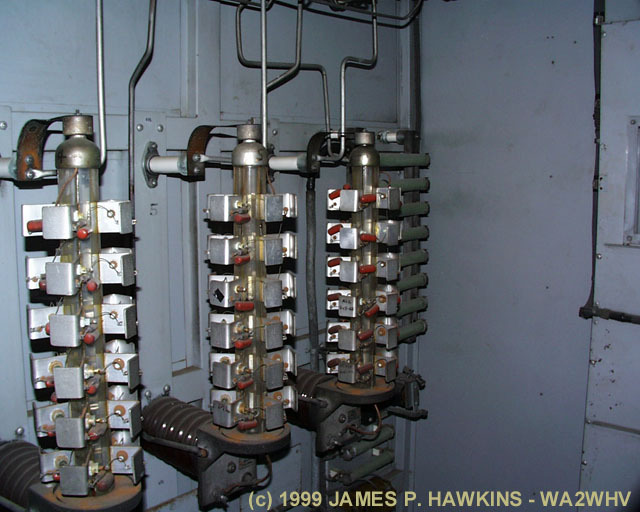 I believe, each of these tubes are driven by a 304TL triode in back of the separating wall. up through the metal cooling fins. 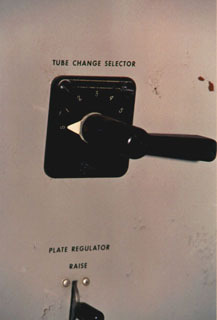 tube showing the tube markings. 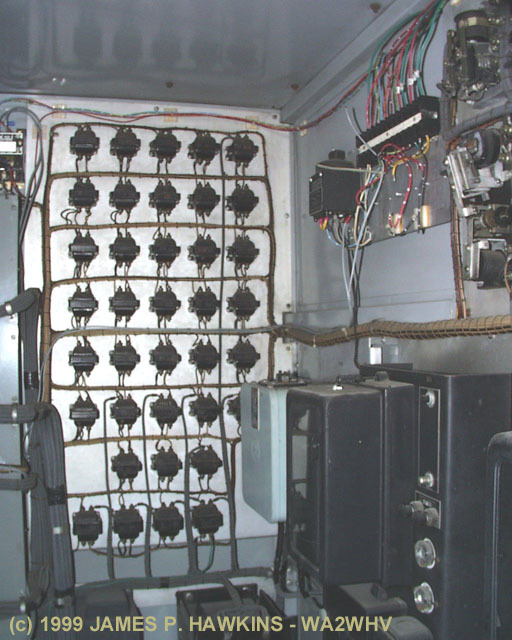 Tank circuit as viewed from the back. 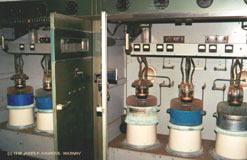 below the coil (bottom left). at left to the number of the failed tube. An indicator showed which tube failed. transformer to seek to the desired regulation point. 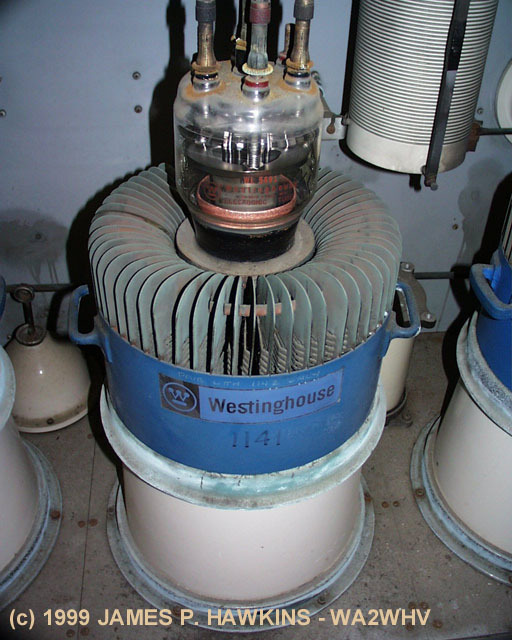 vapor rectifiers could be very troublesome. There is a separate transformer for each control indicator light. 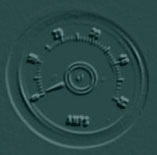 makes which used multi-function meters. 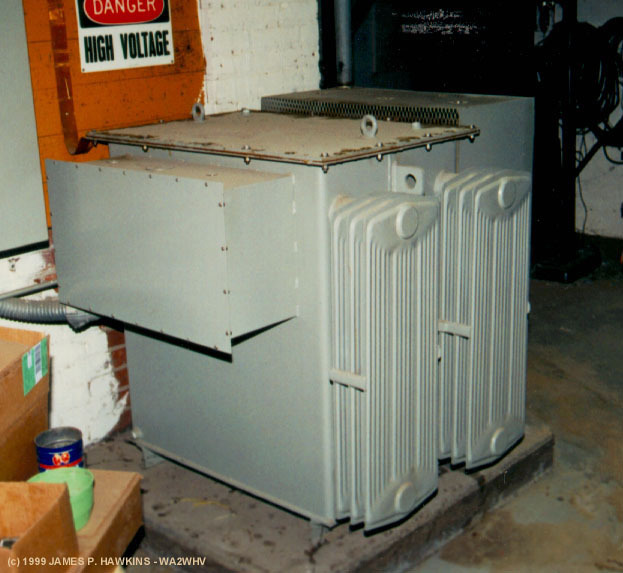 Plate transformer for MW-50 (in basement). This is a home brew passive (no amplification) audio console/mixer. 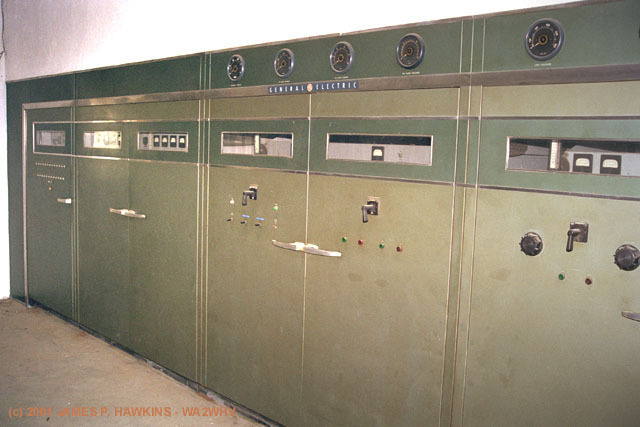 It was used for programs which used to originate from the transmitter site at night. 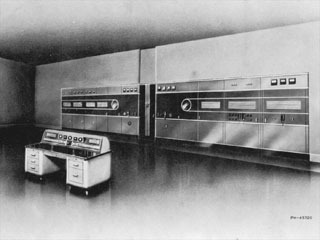 Audio processing equipment, including AM Optimod. 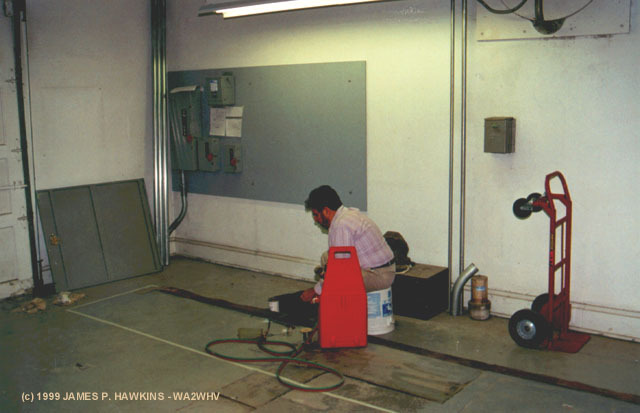 In this photo, CE, Ted Kendrick is welding ground strap which now runs along the bottom of the Harris DX-50. In the picture, note, the tape on the floor which outlines the small footprint where the DX-50 was to be installed. The unit arrived as I was leaving. 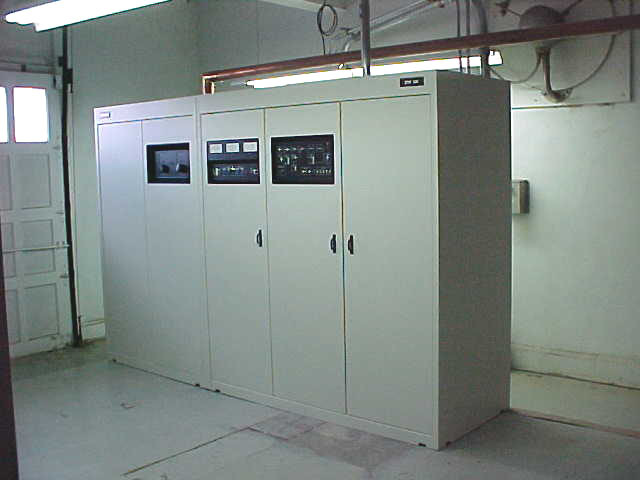 The DX-50 is now the main transmitter with the MW-50 as the standby transmitter. This picture was taken by Paul Jellison and received 3/4/2000. New phasing circuit built on the wall of the room next to where the DX-50 is installed. Accessed times since November 19, 1999. All images are Copyrighted and are provided for your personal enjoyment. Use of these images for commercial purposes including their distribution on CD-ROM or any other media without my permission is prohibited.